The V-Moda Crossfade Wireless Headphones Gunmetal Black is a set of over-ear headphones, featuring a 50mm dual-diaphragm driver, analogue noise isolation, simultaneous device pairing, a no battery analogue mode, and a phantom chrome finish. The V-Moda Crossfade Wireless over-ear headphones unite wireless audio playback via Bluetooth with cabled potential. 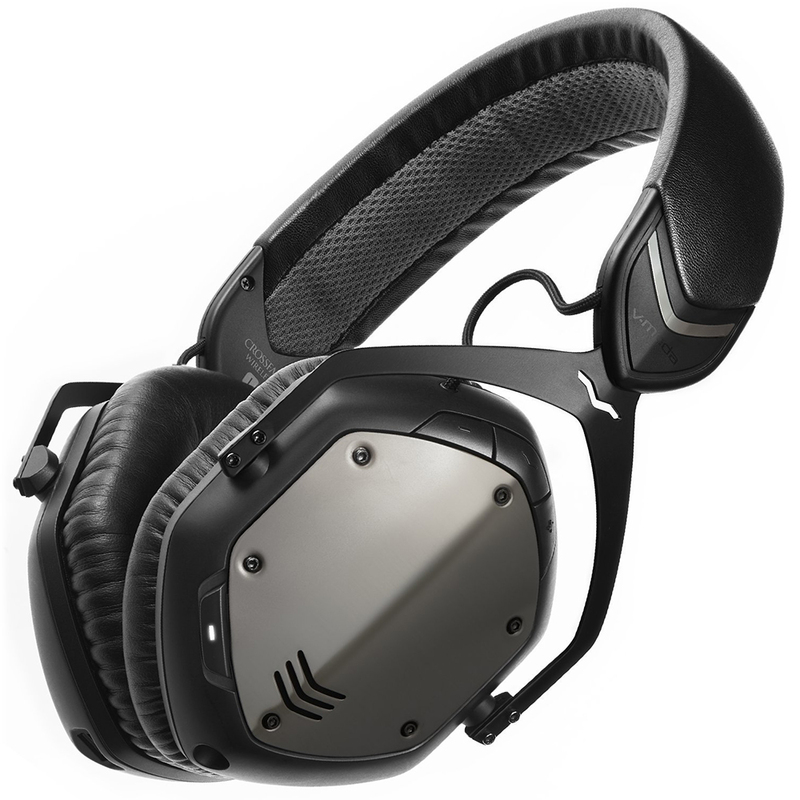 Both applications always deliver the typical V-Moda Crossfade sound. In contrast to other wireless headphones, all of the internal electronics are shut off when the cable is connected. This prevents latency issues, which is essential for DJ performances. Connect the V-Moda Crossfade Wireless with a Bluetooth device and you can enjoy audio playback up to 10m away. The rechargeable lithium-ion battery has a life of about 12 hours of continuous use. These headphones can also be paired with two sources simultaneously, such a smartphone and a laptop, or a smartphone together with a smartwatch. The integrated microphone was specially designed and optimised for telephone conversations and voice recognition. A reinforced 1-Button SpeakEasy microphone and mic cable is included. The memory foam ear pads of the V-Moda Crossfade Wireless headphones passively isolates the capsules from ambient noise and ensures for exceptional ergonomic comfort, essential for long listening sessions. The ear pads and SteelFlex headband conform to the shape of head and ears to ensure perfect natural noise reduction and optimal bass reproduction.